Easy to Implement. Easy to Integrate. Easy to Maintain. Robots have arrived and enterprises have a tremendous opportunity to capitalize on the power of Robotic Process Automation (RPA) to gain a competitive advantage. Nividous RPA bots are quick to configure, make zero mistakes, and work seamlessly with any existing interface, delivering speed and flexibility to a wide range of existing processes. Once implemented, the RPA system gives companies more control, allowing for improved operational forecasting and decision-making. Bots can multiply and be deployed instantly, helping to achieve scalability on demand. Bots are relatively easy to build and quick to implement. The Nividous RPA solution has an intuitive interface and an extensible architecture, seamlessly integrating with and utilizing capabilities of existing legacy systems, enabling operational agility. Nividous Bots minimize manual processes by mimicking the human interactions with applications at a user interface level. They are faster and more accurate while processing critical rule-based tasks for businesses and can enable increased productivity and eliminate human errors, allowing workers to focus on quality work. Nividous RPA is an enterprise-strength solution, supporting a high volume of automated processes that can scale based on the demand of business growth. Business processes like compliance management can be easily embedded in automation rules, allowing workflow execution to be audited and traced in real time reducing the risk to internal data. Optimizing business process with Nividous RPA enables greater operational speed and flexibility, delivering an enhanced customer experience. Most businesses start realizing the positive ROI within a few weeks of implementation compared to alternative solutions. Nividous RPA studio has an intuitive interface with a visual workflow designer, not requiring highly skilled resources; the architecture allows testing of the workflow within the same interface. The system supports reusability of existing components and can be extended to a third party interface library. Nividous RPA Bots are compatible and can interact with existing legacy systems, web or cloud-based applications, and perform a range of automation with any interfaces using a variety of communication protocols such as HTTP(S), FTP, Telnet, SSH. Nividous RPA provides a highly scalable control center that manages all the requests to and from different RPA bots with load balancing capabilities. The system provides an intuitive dashboard, allowing real-time monitoring of RPA bots with a detailed audit trail. It also provides exception handling and scheduling for process execution. Our RPA extends and complements traditional IT solutions such as BPM, allowing software robot development, execution and monitoring from within existing systems. RPA tasks can be seamlessly configured into the existing system workflow and can be managed, monitored, reported and visualized through the same interface that is already being used. It is becoming more challenging for financial institutions to remain competitive in the world of digital innovation, while complying with increasingly complex regulatory requirements. They are under pressure to deliver engaging services and superior user experience, but inflexible legacy systems can be a major hurdle. 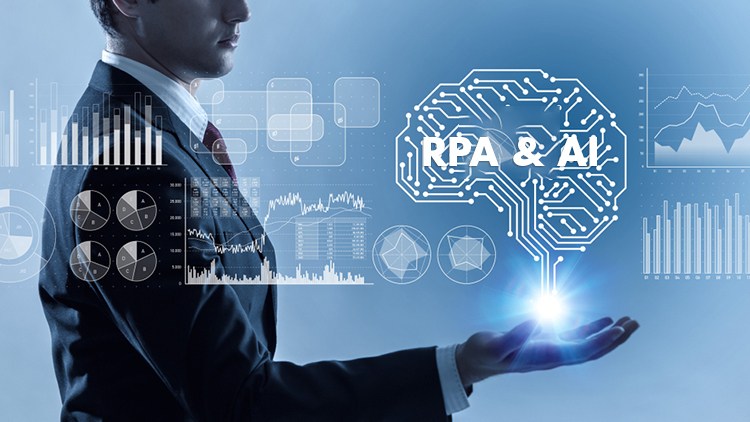 RPA solutions can integrate with the existing systems, automating critical processes related to data privacy and reporting while enabling enhanced regulatory compliance. The biggest challenge in insurance is to stay competitive, upgrading the core legacy systems and additional software applications to deliver enhanced user experience to tech-savvy customers who want fast access to information on the go. The RPA deployment eliminates the risk and cost of a high investment in infrastructure and technology by enabling a non-invasive way of solution integration that supports their existing EAI and BPM architecture. Achieve improved operational agility with RPA systems that streamline time-intensive processes such as procurement, invoice processing, and inventory and customer communication management, while maintaining lower costs and innovative business practices. Keeping up with a lack of skilled laborers and changing regulatory requirements can be challenging, but RPA automates crucial back office processes, providing real-time process monitoring and analytics and digitizing customer interactions. Automate managerial and operational tasks such as case filing, appointment scheduling, billing, and claim process execution and gain visibility into the processes from a unified online platform with RPA. Nividous RPA is built to deliver enhanced data protection and higher system compatibilities, streamlining front-end support and back-end operations, allowing workers to focus more on valuable patient care activities. To respond to the customer demands such as greater life-cycle speed and cost reduction along with higher service levels, BPO players must capitalize on RPA products and keep enhancing the capabilities of existing BPM software. Nividous RPA performs complex automation and resides in a virtual environment enabling a large volume of work processing easily while maintaining a profitable level of efficiency.